This Privacy & Data Protection Policy describes the types of data we may collect from you or that you may provide when you visit our main website www.Rotary-Arendonk.be, www.Motary.be or any other website owned by RC Arendonk (our "Websites"), join our club, use our services, or participate in our projects and activities. It also describes our policies and practices for collecting, using, protecting, and disclosing that data. Personal data that you provide by making an inquiry of RC Arendonk or joining events organized by RC Arendonk; this includes data provided when registering on Websites of RC Arendonk for specific events or activities. You also may provide data to be published or displayed (hereinafter, "posted") on public areas of the Website or transmitted to other users of the Website or third parties (collectively, "User Content"). Your User Content is posted on the Website and transmitted to others at your own risk. Although we limit access to certain pages and you may set certain privacy settings for entering data on our websites, no security measures are perfect or impenetrable. Additionally, we cannot control the actions of other users of the Website with whom you may choose to share your User Content. We may also use your data to contact you about our own events and services that may be of interest to you. RC Arendonk confirms that it will not sell or trade its data. If we believe disclosure is necessary or appropriate to protect the rights, property, or safety of RC Arendonk, Rotary, Rotarians, Rotary clubs, Rotary districts, or others. This includes exchanging personal data with other companies and organizations for the purposes of fraud protection and credit risk reduction. Disclosure of Your Personal Data for Third-Party Advertising. We do not share your personal data with unaffiliated or non-agent third parties for promotional purposes. RC Arendonk will not sell, trade, or share a donor's personal data, including their name, phone number, email, or physical address, with non-Rotary entities, nor will it send donors mailings on behalf of other unrelated organizations. This policy applies to all donor data received by RC Arendonk, both online and offline, as well as any electronic, written, or oral communication. RC Arendonk does not use third-party vendors to manage and process donor data. We have implemented technical and operational measures designed to secure your personal data from accidental loss and from unauthorized access, use, alteration, and disclosure. When developing new or enhancing existing systems and processes, RC Arendonk implements appropriate data protection throughout its data processing operations. All personal data you provide to us is stored on password-protected databases on our secure servers behind firewalls and we use Secure Sockets Layer (SSL) to ensure that the transmission of sensitive data for payments and contributions is encrypted and appropriately safeguarded. 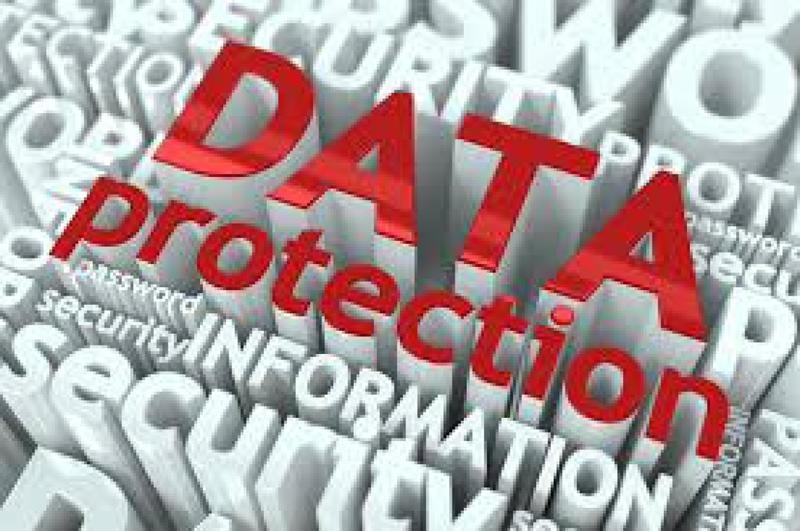 We train our members on the importance of data security and focus specifically on practices for protecting against unauthorized disclosure of personal data. We have a documented incident response plan for promptly acting upon events that violate RC Arendonk security or privacy policies, should they occur, and this plan is reviewed and updated on an ongoing basis. The safety and security of your personal data also depends on you. Where we have given you (or where you have chosen) a password for access to certain parts of our Website, you are responsible for keeping this password confidential. Passwords registered with our Website are encrypted to ensure protection against unauthorized access to your personal data. We ask you not to share your password with anyone. We urge you to be careful about giving out personal data in public areas of our Website. The personal data you share in public areas may be viewed by any user of our Websites. RC Arendonk may change, add, modify or remove portions of this Policy at any time, which shall become effective immediately upon posting on this page. The date the Policy was last revised is identified at the bottom of the policy. It is your responsibility to review this Policy for any changes. By continuing to use our Website, use our services, or participate in our events, you agree to any changes in the Policy. If you are an EU or EEA resident and RC Arendonk knowingly collects your personal data, we will do so in accordance with applicable laws that regulate data protection and privacy. This includes, without limitation, the EU General Data Protection Regulation (2016/679) ("GDPR") and EU member state national laws that implement or regulate the collection, processing and privacy of your personal data (together, "EU Data Protection Law"). Because of the nature of the Rotary International organization and our club, RC Arendonk may hold and process personal data that is collected from other Rotary clubs, districts, and partner organizations around the world, including within the EU/EEA. This also means that if you contact RC Arendonk and are a resident in the EU/EEA, your personal data may be transferred from the EU/EEA to Rotary headquarters in the United States, and may also be accessed and processed from Rotary's international offices in Australia, Brazil, India, Japan, South Korea, and Switzerland. This is to make sure that the personal data that RC Arendonk receives and processes (so far as it relates to residents of the EU/EEA) is properly safeguarded in accordance with similar legal standards of privacy you would enjoy under EU Data Protection Law. If RC Arendonk provides direct marketing communications to individuals in the EU/EEA regarding services and/or events that may be of interest, this will be done in accordance with EU Data Protection Law, and in particular where we contact individuals for direct marketing purposes by SMS, email, fax, social media, and/or any other electronic communication channels, this will only be with the individual's consent or in relation to similar services and events to services and events that the individual has purchased or attended (or made direct inquiries about purchasing) from RC Arendonk before. In certain circumstances, for example, if you attend our events or participate in Rotary programs, we may also disclose your personal data to third parties called "Data Controllers." Such third parties may include companies, foundations, government bodies and ngo’s. Due to the nature of the business of the Data Controllers, they will make their own determinations as to how they process your personal data. As Data Controllers, they are required to follow the EU Data Protection Law and are required to protect personal data with adequate safeguards and provide you with notice if their processing goes beyond the instructions RC Arendonk provided. The types of external third-party Data Controllers listed above may handle your personal data in accordance with their own chosen procedures, and you should check the relevant privacy policies of these companies or organizations to understand how they may use your personal data. RC Arendonk retains personal data identifying you for as long as necessary in the circumstances — for instance, as long you indicated to receive information on events and other activities, for a reasonable period to send you marketing materials where we have regular contact with you, or as may be needed to enforce or defend contract claims or as is required by applicable law. RC Arendonk has adopted a Records Management Policy (which we may make available on request). The criteria we use for determining the relevant retention and disposal periods we adopt are based on the purpose for which we hold data and the reasonable expectations of those whose personal data we collect in these circumstances, taking into account various legislative requirements and guidance issued by relevant EU regulatory authorities. If you make a request and are not satisfied with our response, or you believe that we are illegally processing your personal data, you have the right to complain to the Office of the Information Commissioner in Belgium.